Trust me, I echoed your same concerns, but before you write something off as crazy, you need to understand how it works. So allow me to explain. 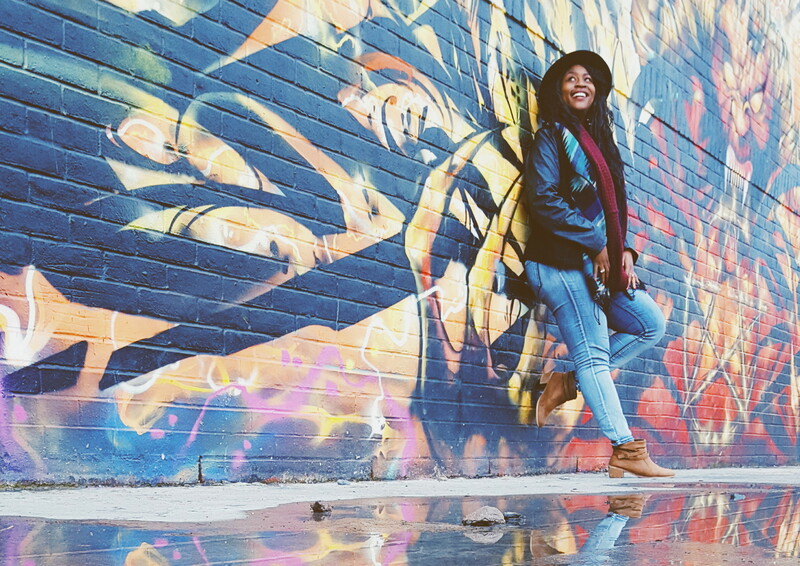 Couchsurfing, beyond its name, is so much more than landing free accommodation on your travels. When I first heard about the network in 2012, I was just as skeptical, playing out scenes of the next Taken sequel that I’d unknowingly star in. But it wasn’t until I found myself with a ticket to Liverpool with accommodations sold out everywhere because of a massive football (Americans, read: soccer) game going on that weekend, leaving the next available option of a $200/night hotel. My peasant college self at the time could barely afford to pay attention in class, let alone drop two benjis (slang: Benjamin Franklins) on a night’s accommodation. It was just out of the question. 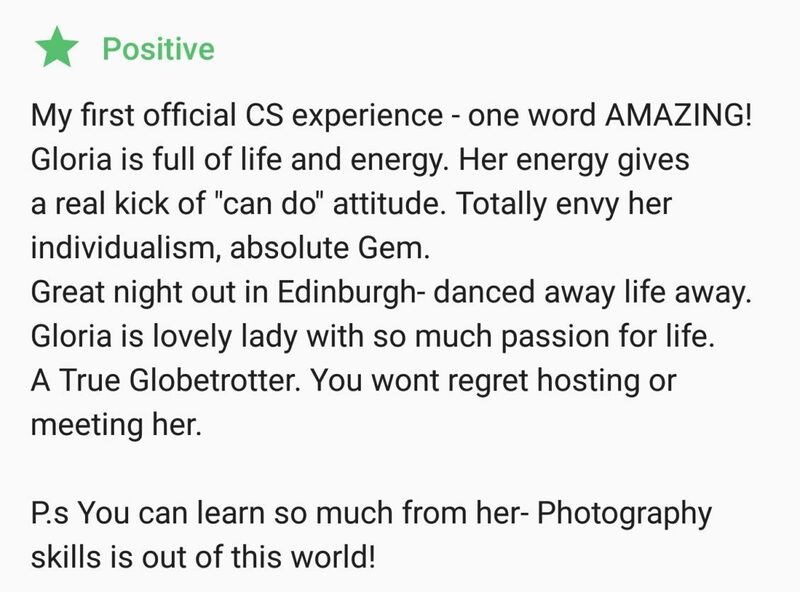 So in a desperate scramble, my dormmate in the UK suggested I give Couchsurfing a shot after a group of three girls had a successful time with it the weekend prior. It was a no-brainer. Either lose money on my ticket and not go to Liverpool — or spend $200 for accommodation that could be used for 3-4 flights to other countries around Europe. 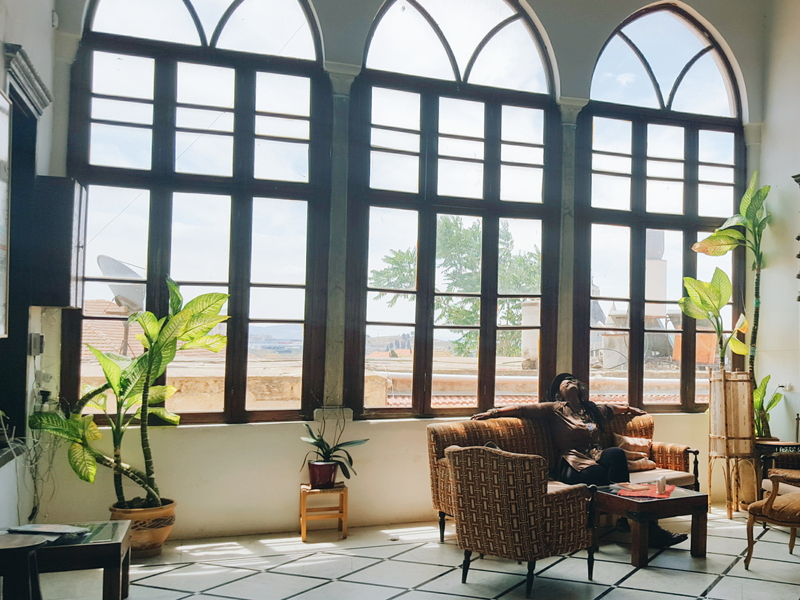 Those three major expenses will dip into the bulk of your travel budget, but what Couchsurfing does, it sometimes take two of those factors out of the equation. After now surfing in well over a dozen countries around the world, I’ve easily saved hundreds of dollars of what should’ve been spent on living, transportation, and food expenses because of the lovely, generous, and hospitable people that fill this network. Bucharest, Romania | On my way to meet me host in Brasov! You see, when you come from halfway across the world to someone’s hometown, a local wants nothing more than to show a foreigner the best their city and country has to offer. It’s a pride thing. They want you to meet their friends, try their foods, and experience their culture from a local’s point of view. The network functions off a two-way street in terms of trust, and the website is as regulated as possible, with prior guests and hosts able to leave feedback on people’s profiles for others to refer to. Signing up for Couchsurfing is quick, painless, and free. And you’re even able to use your Facebook to connect and add friends already on the network right away. As much as it’s a risk for you to walk into a “stranger’s” home, it’s as much of a risk for someone to let a “stranger” in their home as well. That’s why I recommend going through the steps to verify your profile, because it’s another level of protection for you, as well as other people. So just like you do on your 7 dating profiles (no judgements, lol) fill out your profile and make yourself look like the decent human being you strive to be but regularly fall short of. Be as detailed as possible and throw in a few fun facts to be more relatable. Here are some screenshots of my profile. Doesn’t it just ooze of good vibes and glitterbombs of a good time? Oh shucks, I knew you’d think so. Couchsurfing is about a cultural exchange, and the best hosts I’ve had are the ones that tell me how much they wish they could travel to America but couldn’t, so having me in their home was the next best thing. It’s as if we’re bringing our native countries and cultures to them. A lot of times, the only thing we know about other cultures, is from what we see on the news and in movies — which are skewed based on their agenda. Am I doing this “surfing the couch” thing right? This may be the biggest pet peeve of hosts everywhere, but please, please, please don’t just send copy & paste messages. Take at least a couple minutes to scroll their profile, read about their interests, and see the list of countries they’ve visited. 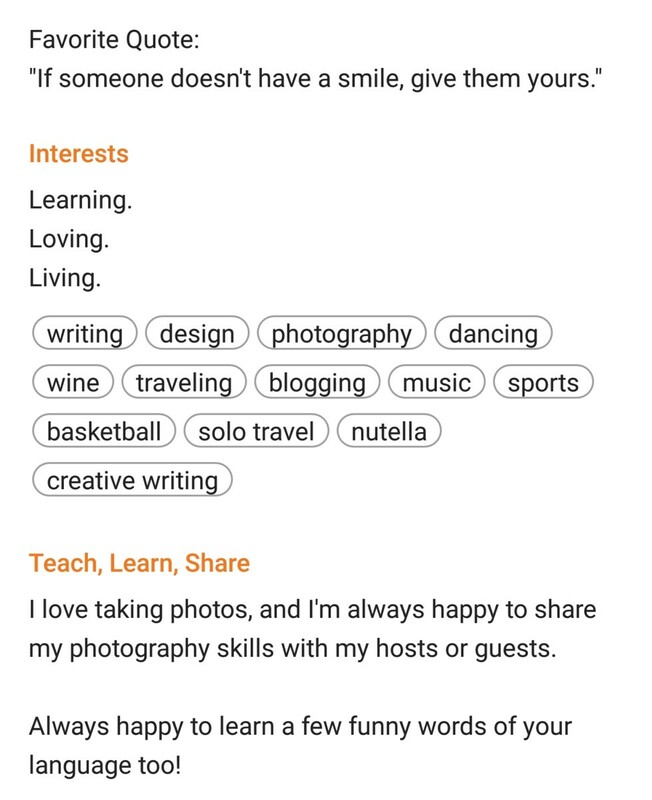 Couchsurfing does a great job with their profile boxes, specifically the part where they ask everyone to list One Amazing Thing They’ve Done. It gives you a chance to brag on yourself, and a requester a chance to grovel in your magnificence, ha. What better way to make someone’s day than by sending a flattering message congratulating them on climbing Mt. Everest, or eating chocolate for 400 days straight, I mean — talk about talent! And try to send the request at LEAST a week in advance. I know some surfers send them 3 months out (I hardly know what I’m doing tomorrow, ha), and some send them a couple weeks away. I think the sweet spot is somewhere between 2-3 weeks. Most hosts don’t plan their lives that far in advance either, so you’ll be able to get a more definitive answer if you hit the two-week mark. I think the sweet spot is somewhere between 2-3 weeks. Most hosts don’t plan their lives that far in advance either, so you’ll be able to get a more definitive answer if you hit the two-week mark. 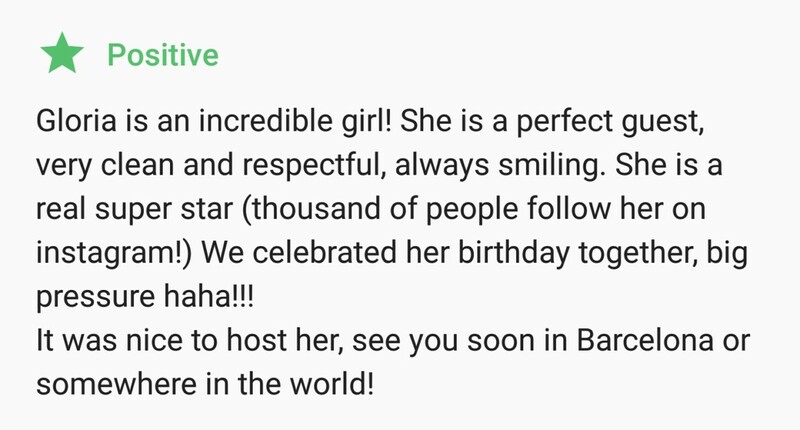 Because of the high volume of copy and paste messages in popular cities like London and Barcelona, hosts have started putting keywords or special questions somewhere in their profile, and they only respond to messages who include that special word. I love it, and I think it’s a great way to screen those who are actually taking the time to get to know you. They might ask you to include your favorite color in your message, or to list three countries that they’ve been to. So keep an eye out for that! When I lived in Barcelona, on any given day, I would get up to 100 couch requests, and about 90% of them were copy and pasted. I would get addressed to as “Paula” or “Jasmine” and it was clear I was on the receiving end of a long line of duplicate messages. It’s just lazy and tacky. Take the extra time to screen profiles, and if not for your host, do it for your own safety. A good number of requests to send for a city is about 10. People will be busy or booked, so your chances are better when you request to at least 10 people, because at least one will have availability. But if you just send one and give up, then you may not have much success. Send more requests so that the odds are in your favor. Hope you’re having a great Monday! So cool that you’ve just finished trekking through the Sahara Desert! Sounds like an adventure, and I’m sure you’re still emptying sand from your shoes on a regular basis (the cornier jokes you can squeeze in, the better, LOL). I just wanted to quickly introduce myself and let you know that I’ll be in your city next weekend! 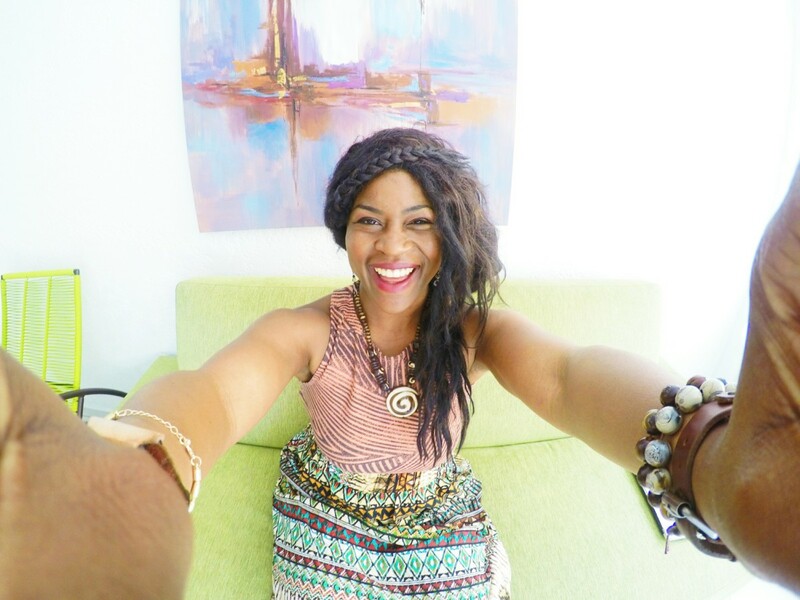 My name is Glo, I’m from California, and I’m super excited to visit Lisbon (if you’re excited, they’re excited), as it’ll be my first time in Portugal! 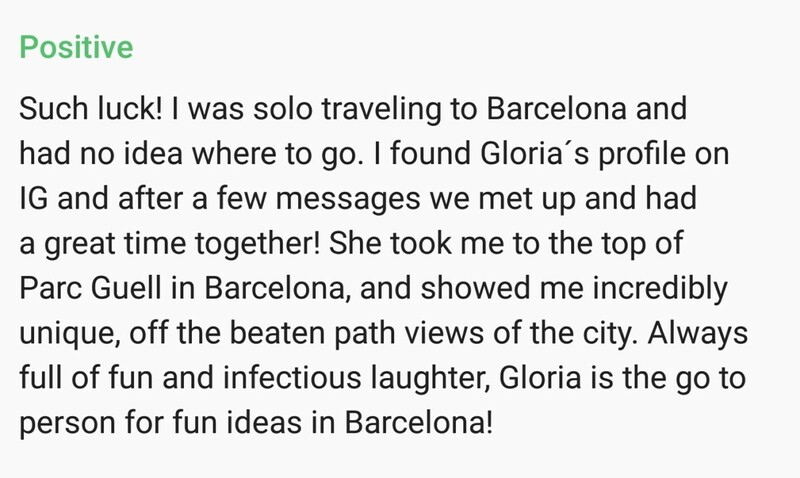 I’ve heard such great things about the food and the people, I can’t wait to explore it for myself (include a warm sentiment about the city or country you’re visiting). 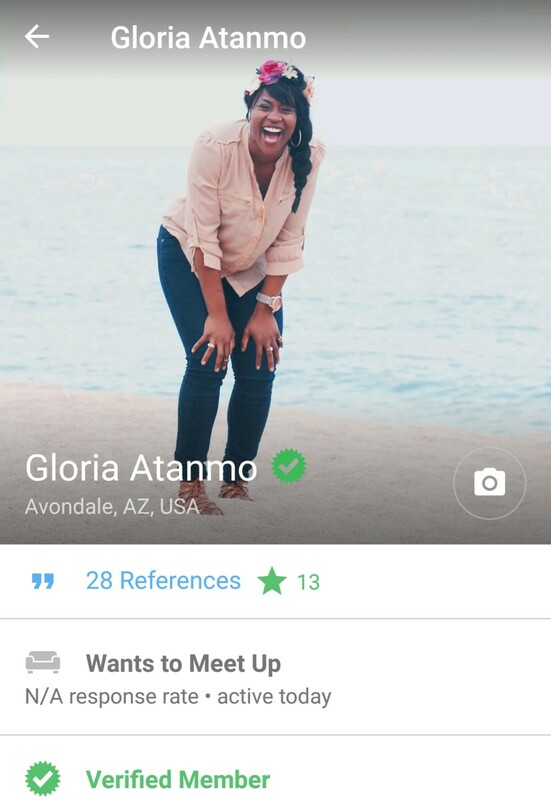 Even if you’re not able to host, I’d love to go for a coffee to hear about some tips or some of your favorite spots in town (this takes the pressure off them, and lets them know you’re genuine about meeting them and not just their couch, that sounded weird ha, but you get my point). Thanks so much for your time (again, these kind gestures go a long way), and I can’t wait to hear back (no pressure, but pressure LOL). PEOPLE ARE STILL JUST PEOPLE, NO MATTER THEIR RELIGION, RACE, OR CREED. It’s crazy how we’ve become a product of our consumption of violence and homicide in movies and video games. Even with the word “stranger”, our minds are programmed to think of these people as strange or weird. Here’s the honest to God truth that any American who’s studied or lived abroad for an extended amount of time will tell you. We feel safer in foreign countries than we do in America. And we serve as ambassadors of our own country when we’re abroad. Any time I can tell a foreigner that America is more than Vegas, New York, or LA, I feel like I’ve done my job as a U.S. citizen, haha. But seriously, #BoycottVegas2017. Let them learn about your country, your life, your identity, and your story that brought you to the very moment you’re sharing. 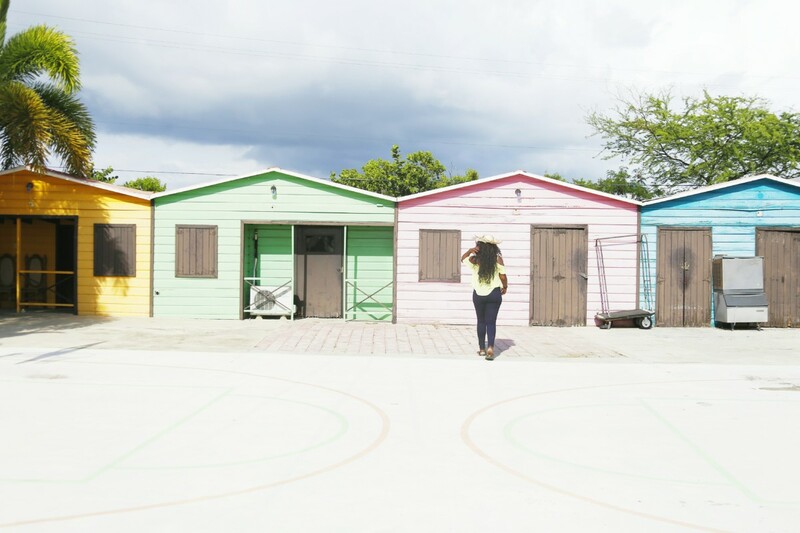 Not only do you have free accommodation, but you have a free tour guide at your service as well. Think about it, who knows a country or city better than someone who’s lived there all their life? Fall back, Google. I’m gonna take their word on this one. And because of my couchsurfing hosts, I’ve been led to hidden beaches, tasted local-grown foods, and danced the night away at urban clubs that I bypassed the line and walked right into thanks to them being a regular there. Some of your hosts even have cars and offer to play taxi for the day and spend time taking you to all their favorite spots or any highlights you want to see. And don’t let the word “couch” fool you, because more times than not, I’ve actually had a room and bathroom to myself and more privacy than a hostel would’ve given me and again, all at no cost. My advice, especially to women, is don’t be stupid. Well, this is a general rule that I encourage everyone to apply to anything in life, really, ha. 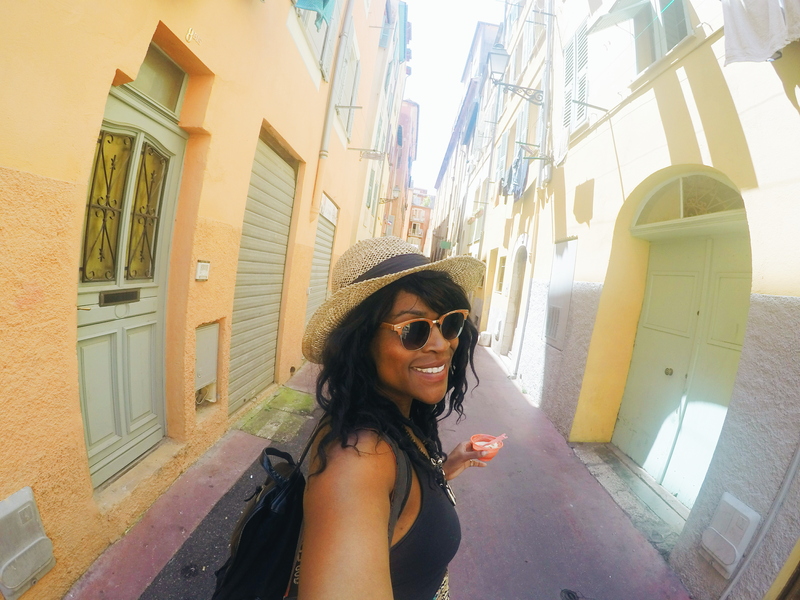 But when it comes to female solo travelers, try and stay with other women, couples, or hosts who are also hosting other people, and use your better judgment to screen people who seem like they have another agenda. This is why reading reviews and references are so crucial in your pre-request stages. If someone doesn’t have a review yet because they’re new, never be the guinea pig. — Before agreeing to stay with them, exchange Facebook profiles or have a Skype session just to hear their voice and verify their identity. — Meet for the first time in a public place like a cafe, train station, or mall — this also lessens the awkwardness and allows for an open environment for some small talk. — On that note, offer to go for a coffee or drink with your host before dropping your bags off to chat with them about any standard house procedures, or rules, and let them share their best tips of what to do in the city while you’re there. — Bring them a gift! You just saved some money by the kind act of a stranger, the least you can do is bring a token of gratitude. Wine is always accepted, or maybe even a small trinket from your home country. A gift is a gift, and it’s the thought that counts! They’ll really appreciate it, and it sets the tone for a great stay. — Keep in mind that the availability of hosts during your stay will vary. Some may ask to accompany you walking around the city, and some may have to work. Respect their space and remember that just because you’re on vacation, doesn’t mean they are too. If you’re going to stay out late partying, let them know so they aren’t up worrying about you. Remember that every host is different and has their own set of rules. I’ve had some who wanted to take me to every highlight of their city, and I’ve had some meet me at the train station, and drop off their spare set of keys, because they were traveling for the weekend too, ha! The trust was unbelievable! 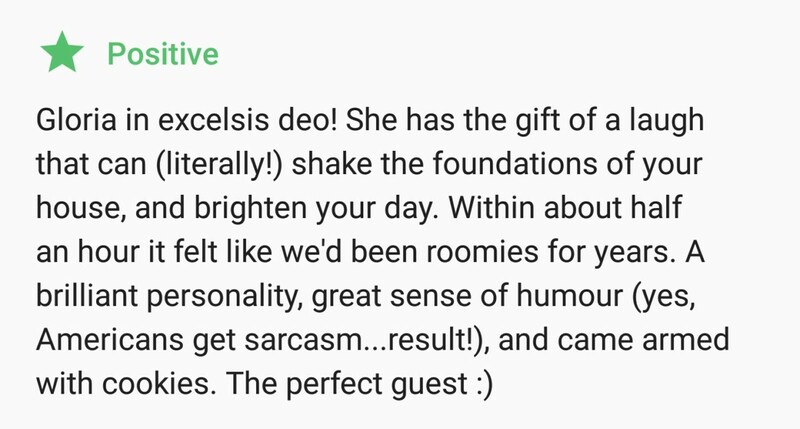 In general, the people on Couchsurfing are extremely hospitable souls. It’s a community of good karma, because they build a network of friends and travelers from all over the world who will reciprocate the hospitality if they ever visited the others’ home city. 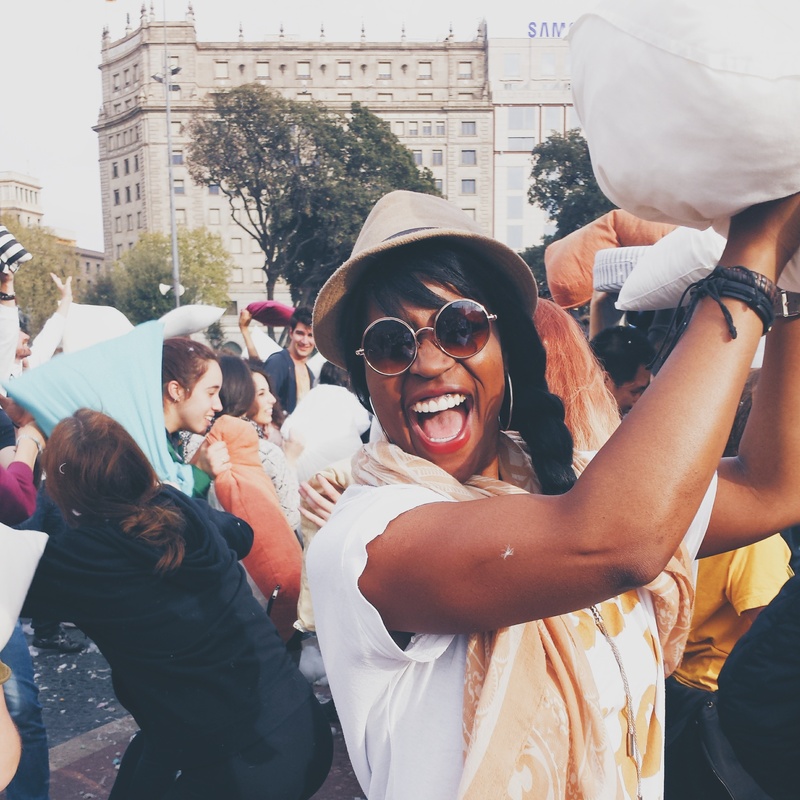 Couchsurf-hosted pillow fight in the center of BarTHElona! I’ve been very lucky to have stayed in nicer and more expensive flats most of the time, but I understand that won’t always be the case. So don’t be high-maintenance and nitpick or complain about everything. Remember, they’re doing YOU a favor. They really don’t owe you anything! And while it’s true, there are always some bad apples everywhere you turn, don’t let a few horror stories from this site try and scare you away from an overwhelmingly positive and helpful community of travelers who are the free-spirited, good-vibing, and compassionate human beings that we need more of in this world. At the top of the site, you’ll see a little search bar with “EXPLORE” right next to it. Click on that and hover down to the “FIND EVENTS” button, and then select the city of where you’ll be traveling. 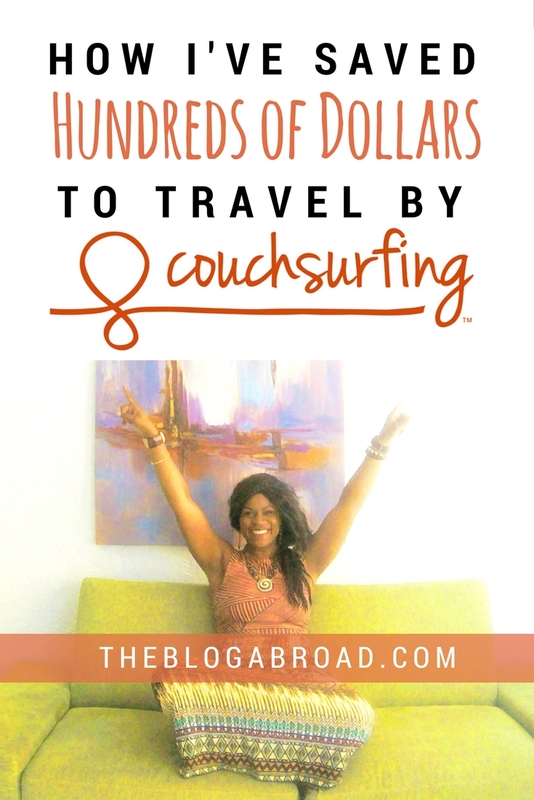 As a solo traveler, even when I already have accommodation, I still use Couchsurfing for the events to meet with locals and fellow travelers wherever I go. These events can range from meeting up with people to hike, grab some beers, shoot some photography, go to a comedy show, cinema outings, do a language exchange, salsa dance lessons, pub crawls, or just a regular weekly couchsurfing meetup to chat and relax. 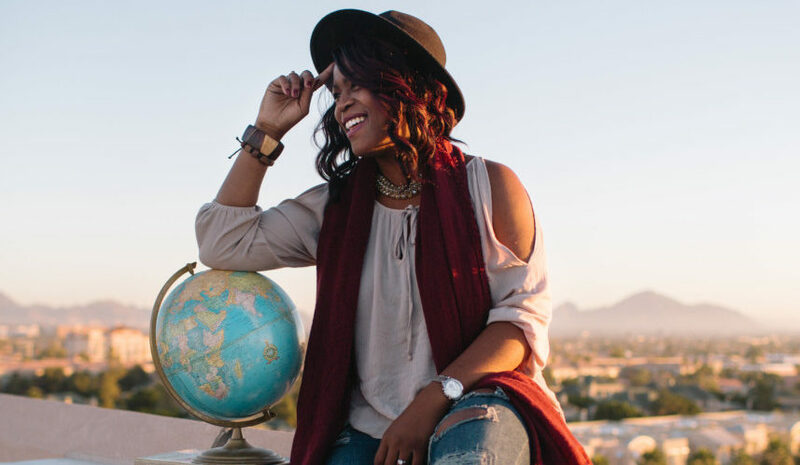 Solo travel doesn’t necessarily mean you’re alone, and money saved aside, this community has connected me to some of the most amazing, wise, and interesting people around the world. 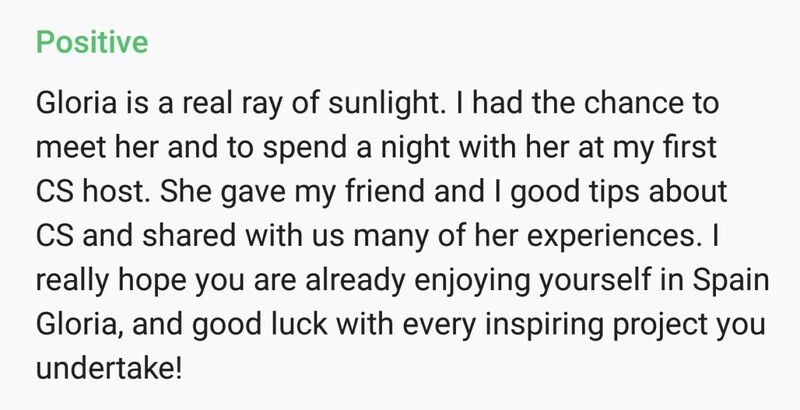 One thing I also love doing, is going back to my references and reading some of the lovely reviews my past hosts have left me. Memories rush back to the forefront and tears stain my cheeks when I look back on these wonderful times. Haha! Amazing birthday spent in Marseille with great company the whole weekend! 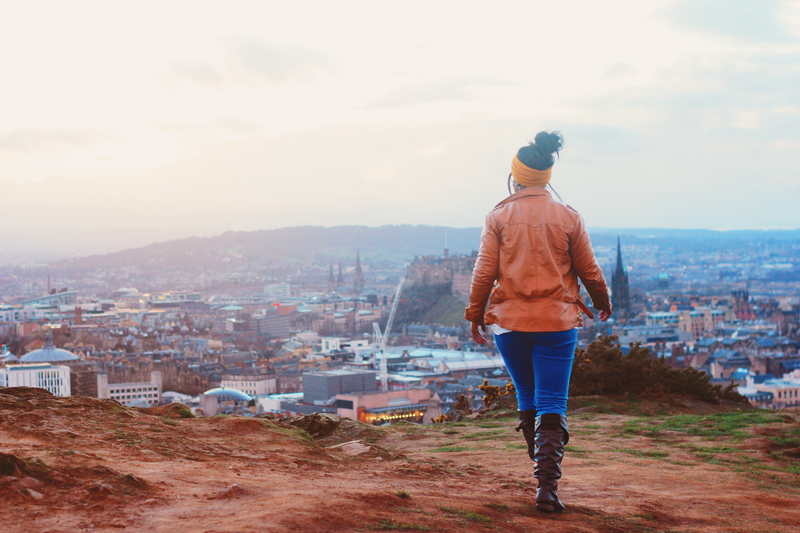 Lovely Nigerian girl in Scotland. 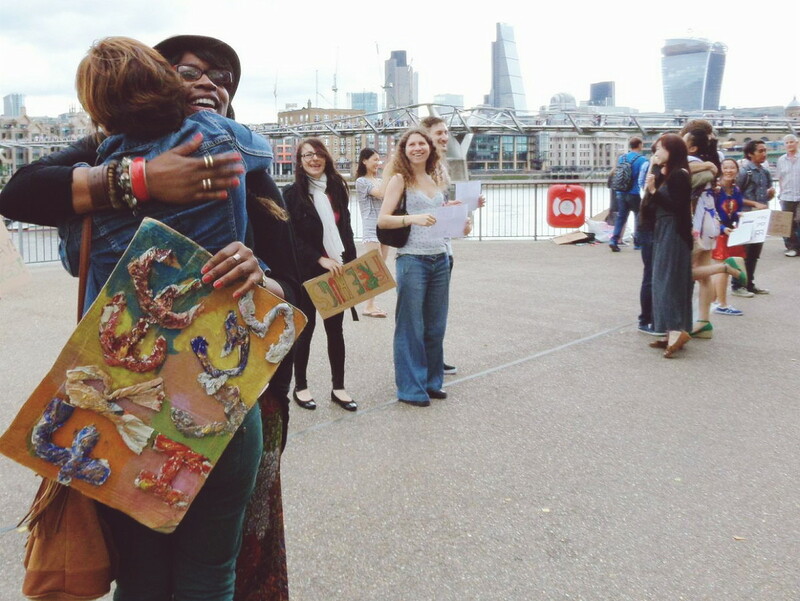 I felt like I met my soul sister! An amazing time touring Brussels with one of the most well-traveled people I’ve ever met! A hilarious host in Manchester! I didnt want to leave! Really sweet family in St. Tropez, France with another French gal surfer! So great to take an online friendship and connect offline! Still really great friends to this day! A fellow surfer with me in London who is currently in Beijing now! She cooked us all dinner one night — so sweet! 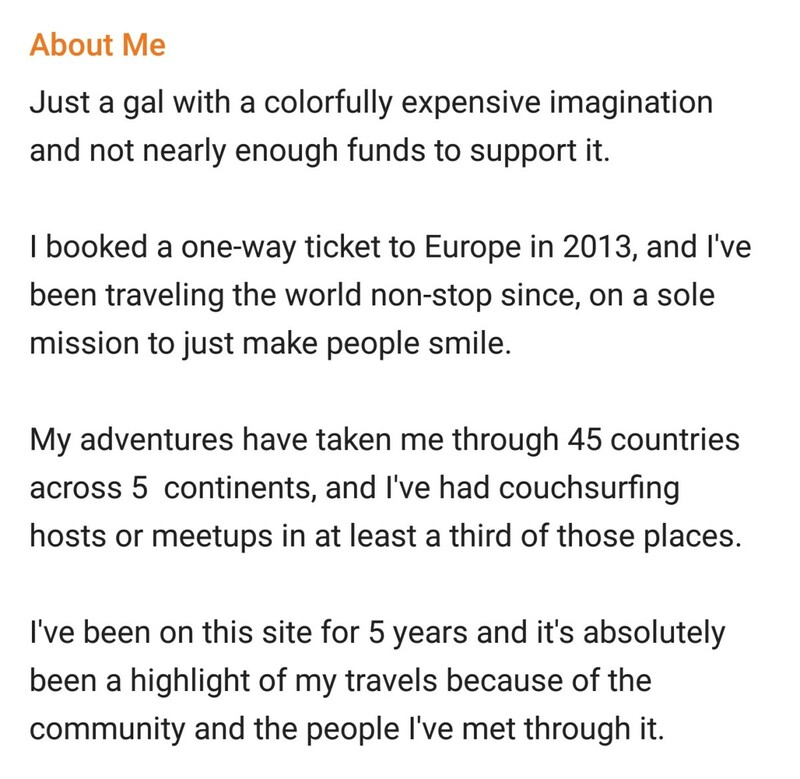 So I encourage you, sign up for Couchsurfing HERE, so that you can start filling out your profile and have things set up for when you eventually use it! And feel free to find and add me as a friend so we can be connected and maybe meet up in a city somewhere! To the many hosts who’ve opened up their homes to me, thank you from the bottom of my heart. To the many locals who’ve gotten beers with me, my liver applauds your graciousness. And to the friends and fellow surfers I’ve met over the past 5 years through this site, I hope our paths cross again! 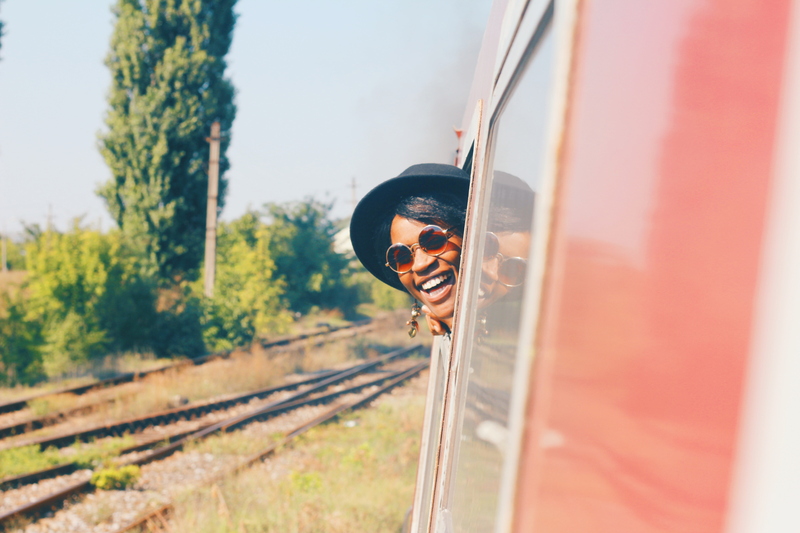 Share this article with your favorite travel buddy and I hope you go on to love this network as much as I do! 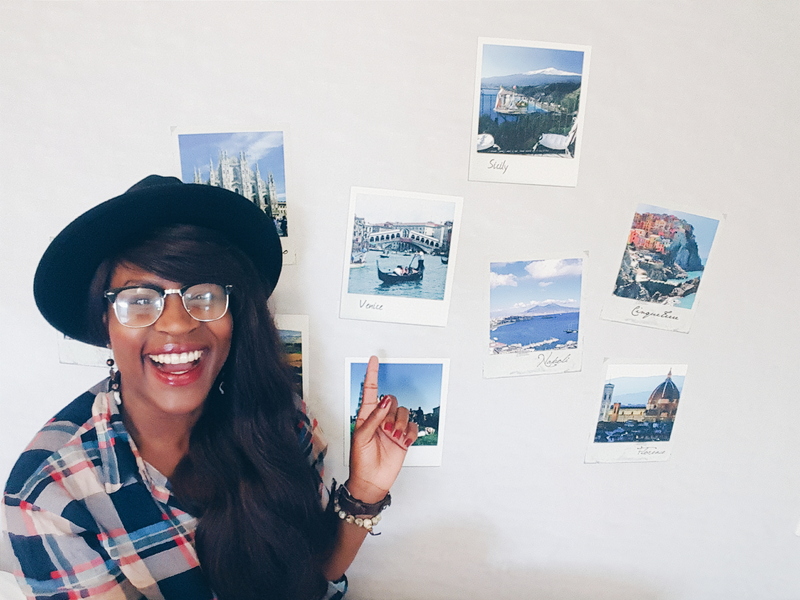 Next post: How I’m Going to Carnival in Brazil For Free!